There is 1 extra trophy on the vita version of the game when compared to the ps3 version. The only difference is an extra trophy for taking a screenshot so the guide will still be used the same way. There is a new thing in this game and it is called pinky swear. If you setup using the options below, it will automatically stop at questions and pinky swear points. Two things will either happen, you will pinky swear or you will not pinky swear. Below are the controls of handling both situations. Press to enter backlog. Scroll up and find text with a speaker icon on the left side. Click it for a trophy. 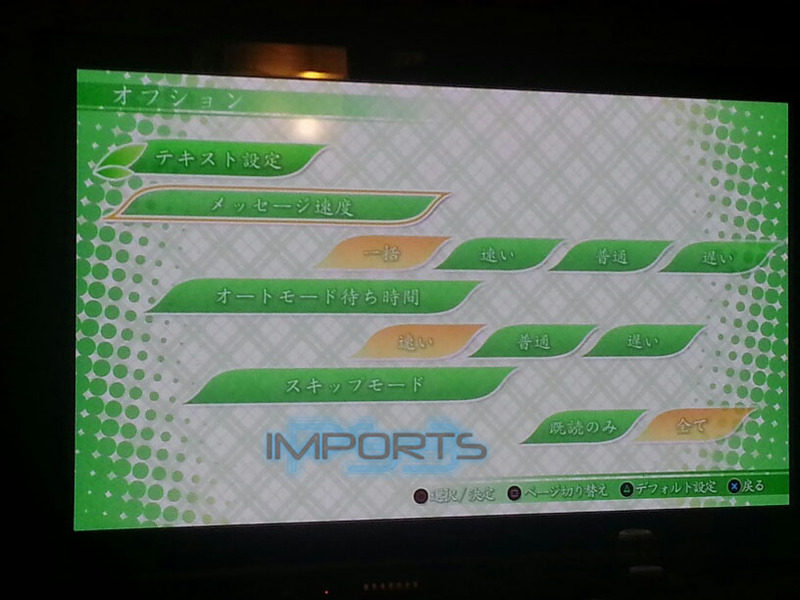 In the Main Menu, select memories and select the last option and auto-skip for completion. For the rest of the steps, you will be playing the extra mode that is now available on the start menu as the last option. You will need to complete 3 paths from the ちなつ or 霞 to open the rest of the characters. Once everything is open, you can continue in order. Also, randomly when you finish a path this picture will appear. If you want create a save point because you can earn 2 trophies from it, but if not don't worry as you will see this roughly about 10-15 times. Finally, I am not sure how these choices come up but you need it for an ending. I am not sure how they show up but if you can let me know I would appreciate it. YOU MUST DO POSTS 6-9 IN ONE GO. IT SHOULD ONLY TAKE AROUND AN HOUR. This left me missing 2 trophies for platinum. I then followed adas's post here. Okay managed to get plat in PS3 version too. The trophy description is misleading, its not about "i visited all places" but "I Pinky Swear in ALL places". I managed to make a picture which place it is so i will add it below. Also yet again i loaded SAVE #2 and got plat but something goes wrong there. I wanted to follow RD's guide and just change one pinky swear but i realised that dialogues changed and some random bull started to show up (even tho earlier everything was perfect) so maybe it is because i already completed most part and they are some extra's? Anyway its hard for me to give same solution because You can have a different answers popping out but i think its doable if You answer properly one some "core" questions. Just Pinky Swear instead of "Don't Pinky Swear". Sorry for bad grammar and overall mess but its hard to explain because answers started to glitch for me lol. The guide is finished. I am going to try and add a picture or two to help on posts 6-9. A little bit harder than complete but quicker. If this is based on the guide from Seiya-Saiga, I can confirm that everything here should be good, since that's the one I followed way back in August. Gotta say though, that last CG of the blonde I think it was, was an absolute pain to get, I think it took me around 20 tries also. Anyways, good job RD on the guide and hopefully it helps some people out. Yeah that CG thing was horrible so I made a note so people don't get discouraged. The only thing I don't remember is how these choices come up. I wanted to make a picture but hopefully somebody can help me out with that. So you don't have a Dazzle DVC100 or any other capture device? I have one but I rarely use it nowadays. No I don't sorry but its not that necessary. After 1-2 runs from other people the kinks should be allset. The first part of the guide is money, its only the 2nd section of it but it goes so fast its not that bad. All the others seem to work. Edited by Jag_lee, 06 November 2013 - 10:56 AM. I kept replaying that route over and over again. 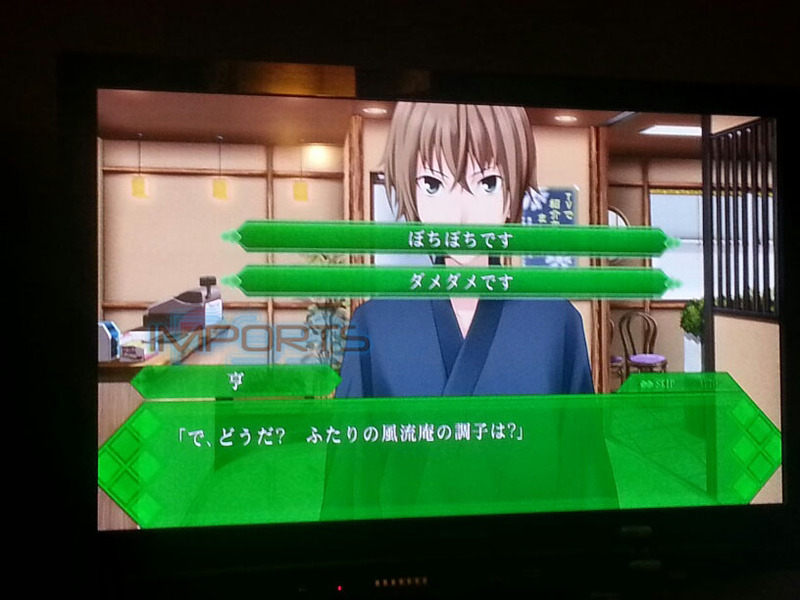 When I picked ちなつ , you go to a screen with 3 choices. If that choice is not present, pick a choice on that screen that does not lead to an ending an repeat this process. It will eventually show up. I was beginning to doubt myself as well then finally it showed after what felt like 20 times. When I did this trophy it was the last thing I had left. So if you are missing only this CG and have all the endings keep going at it. I am sorry but I cannot see images at work. I can let you know in a few hours when I get home. Have you gotten every other trophy and are you missing just 1 CG from the clear list?